The ethics behind the Santa Cruz county transportation process has hit a new low. Santa Cruz Regional Transportation Commission (SCCRTC) is the organization implementing policies for the transportation system. It’s not difficult to look past the rhetoric about road improvements and highway widening to see that the real objectives of the SCCRTC  are to force public transportation projects and to restrict private auto use. All five Santa Cruz County Supervisors sit on the Transportation Commission. As reported in the Santa Cruz Sentinel , Fred Keeley , the County Tax-Collector , convened an 80-member  task force charged with finding “consensus”  on transportation funding projects. The task force  however is part of the SCCRTC that, for over 30 years, has failed miserably  in providing adequate road infrastructure and freedom of automobility  for the taxpayer. They have made both public and private transportation difficult to maneuver thorugh for many years. Fred Keeley convenes public meetings with Eileen Goodwin , a professional facilitator whose company Apex Strategies, has been under contract with the SCCRTC . Goodwin gets paid $175.00/hour (plus expenses)  to literally wave a magic wand while treating the meeting participants like young children (see video) . Goodwin does this while pretending to solve the problems that her cilent, the SCCRTC, creates and maintains. This is classic Agenda 21/Sustainable Development/Smart Growth transportation planning . Michael Park explains in his article, “Smart Growth Rolls into Town in a Trolley”  that Santa Cruz is experiencing a manufactured crisis . “Traffic planners are content to watch congestion build up on the higways until residents are screaming for a solution. All the while the planning department is changing zoning regulations, working with private developers” …. to build high-density government housing along along rail and trail lines. Santa Cruz Sentinel – “Keeley to Head Transit Group” December 8, 2005 article by Genevieve Bookwalter. Keeley was tapped to find “consensus” on transportation funding projects. Fred Keeley – March 29, 2006 “Metroactive NUZ” article on Keeley “facilitating” transportation workshops. “consensus” – 1997 article from Eco-logic Online explaining how the “consensus process” is used to disguise a predetermined outcome. A Generation of Manipulation and Behavior Modification – Research and article by Michael Park on how the SCCRTC and the Board of Supervisors have engaged in manipulation and behavior modification since the 1970’s. 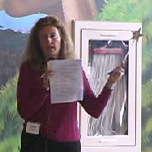 (literally) – video-clip from May 20, 2006 Watsonville Transportation funding Task Force public meeting showing Eileen Goodwin and her wand. Keeley and Goodwin held training sessions – Orientation photos from the Transportation Funding Task Force website. pack public meetings with task force trainees – Public citizens attending the workshops report that between 50-85% of the audience are task force members. member – link to the roster of Transportation Funding Task Force. As of June 2006, there were more than 100 (selected) task force members. call for community input – Task Force Flyer “Tell us What you Really Think” listing dates, locations and times for some of the 3-hour consensus meetings taking place around the county. Agenda 21/Sustainable Development/Smart Growth transportation planning. 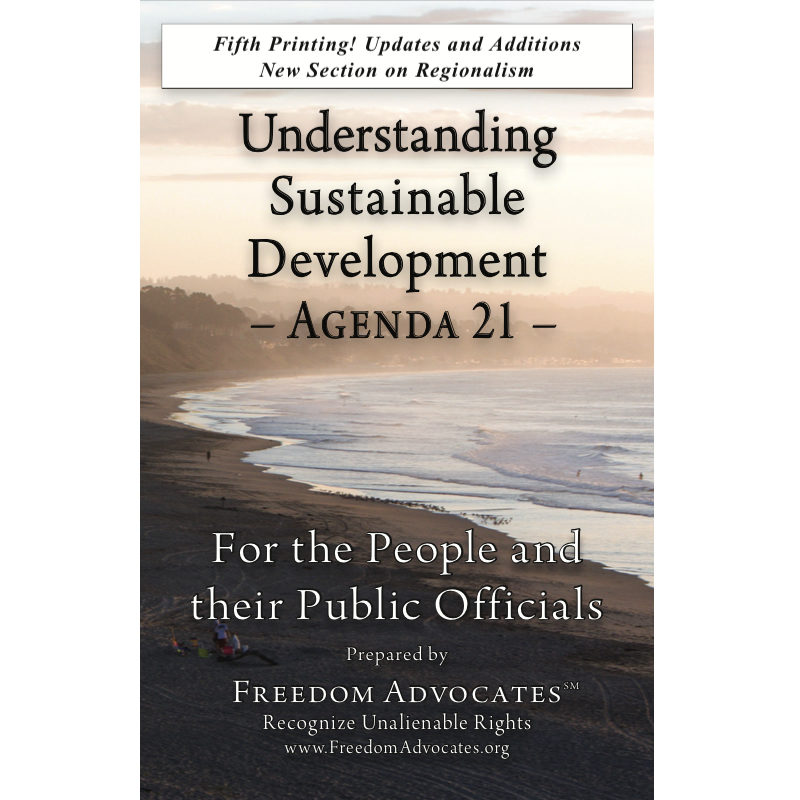 – Unedited excerpts from “An Agenda 21 Report for Santa Cruz County Local Agenda 21 – Santa Cruz Transportation.” The headlines are summary comments by Freedom 21 Santa Cruz. social-engineering. – From “Smart Growth Rolls into Town on a Trolley” by Michael Park. “Santa Cruz County is experiencing a manufactured crisis. Planners are content to watch congestion build up on the highways until residents are screaming for a solution. All the while, the planning department is changing zoning regulations, working with private developers…” to build high-density government housing along rail and trail lines (aka sustainable communities). Listen to related radio interview with Researcher Jeannie Soderman and Host Roy Avila: Local Transportation Plans, the Trans-Texas Corridor and International Road Systems.